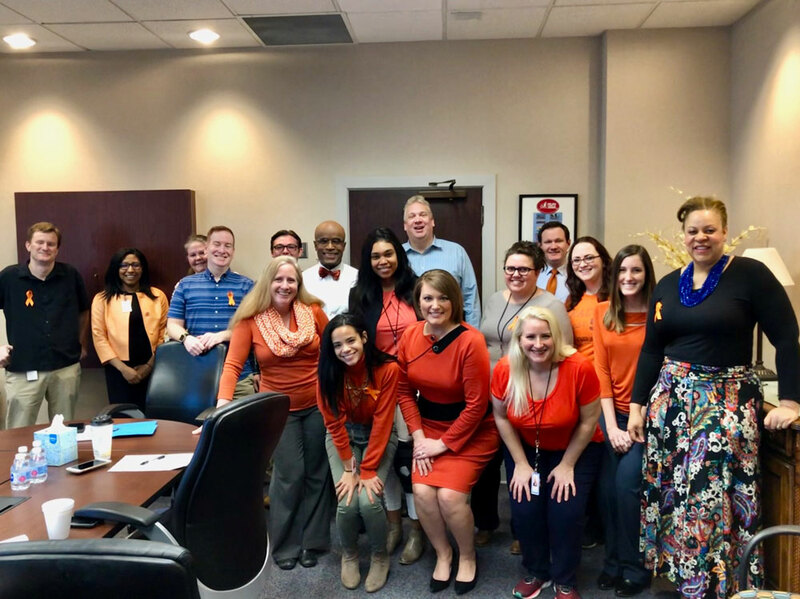 PORTSMOUTH, Virginia – For one Lucinda native, living with Multiple Sclerosis doesn’t put a damper on her positive attitude. Katie Collett, who grew up in Lucinda and attended North Clarion High School, is currently working as a news anchor in Virginia. 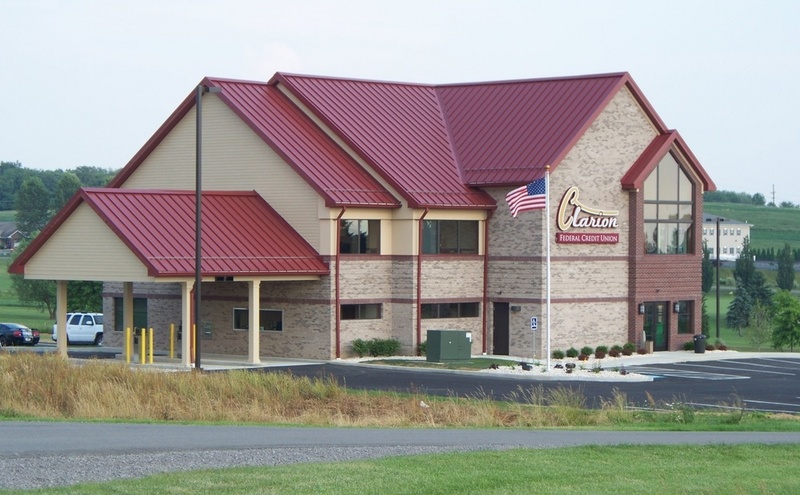 In her school years, she participated in activities ranging from basketball and volleyball to band and chorus; she also danced at All That Jazz Dance Studio in Clarion. Early on, Collett discovered that she loved speaking or reading in front of a class and participating in high school morning announcements. Her interests led her on a path toward a career in journalism. After graduating high school in 1999, she attended Edinboro University where she majored in speech communications. During her senior year at Edinboro, Collett was offered a great opportunity: an internship at COX Broadcasting in Washington, D.C.
“It was the best experience of my life and gave me an amazing start for my career,” she noted. Following her internship, she was hired at COX as a full-time freelance producer. From there, she accepted a position as a bureau reporter for WJAC-TV in Johnstown, working first from the Altoona Bureau, then the main station. 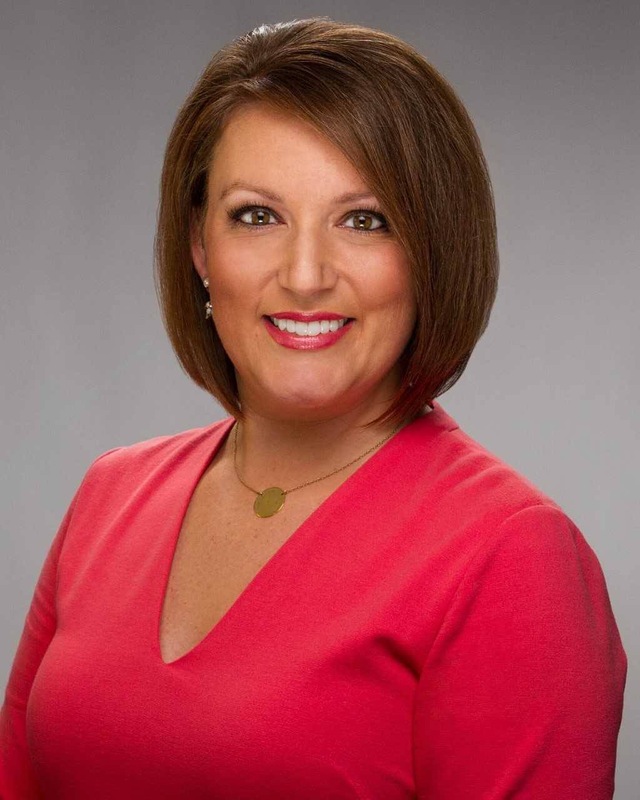 After two years at WJAC, she was promoted to the morning anchor position. She spent another two years in the morning anchor position when she was offered a job as a reporter at WAVY-TV in Portsmouth, Virginia. After several years of working different shifts there, she was promoted to the morning/midday anchor position. In less than a month before she and her husband celebrated their first wedding anniversary, Collett was diagnosed with multiple sclerosis (MS). Collett’s symptoms began with a sharp pain in her right eye. She then lost most of her vision in that eye and went colorblind. During that time, she was diagnosed with Optic Neuritis, a condition in which inflammation damages the optic nerve, causing a loss of vision. That diagnosis then led to her MS diagnosis in 2012. This was a tumultuous time for Collett. Within days of her diagnosis, she received a call from one of her station managers saying they wanted her to begin filling in as the morning anchor. The combined stress of her diagnosis, her fear of what it could mean for her future, and the stress she was under made it a difficult transition. Collett said she knew very little about MS beyond the fact that it was incurable. She had also witnessed a friend’s mother struggle and eventually succumb to MS. Despite her fears, and, of course, the difficulty of working under blinding lights while being unable to see out of one eye, Collett soldiered on. She said there were times when she stepped behind the set to cry quietly through the commercial breaks, but she then tweaked her make-up, put her smile back on, and went back to anchoring after the breaks were over. Collett chose to tell her managers about her diagnosis immediately, a decision she has never had reason to regret. She has been the morning anchor at WAVY-TV for over six years. Following her initial diagnosis, Collett did not have any additional symptoms, beyond occasional MS fatigue, until February of 2018 when she lost the feeling in one foot. Within a matter of days, the numbness in her foot climbed up to her shoulders, leaving her unable to feel anything other than pain from her feet to her shoulders. As the feeling slowly began to return to her feet, the numbness and pain then crept into her arms and hands. Working in the field of journalism, typing is a very regular activity in her day to day life, and the numbness caused her serious difficulty. However, she still managed to get her work finished on time, though she often felt quite frustrated. It took nearly a year for all felling to finally return to her body. Currently, Collett tries not to let her condition affect her day to day life, as much as possible. Her original treatment, a twice-daily medication called Tecfidera, was changed following her flare up in 2018. Currently, she is on a very new medication called Ocrevus, which is a five-hour infusion she gets twice per year. “It is going well so far and seems to be keeping my symptoms at bay,” she noted. Collett says she feels quite fortunate. While she has only taken pills and the new infusion to treat her condition, she knows others have been through a range of treatments, including weekly self-injections. Collett is also very involved in MS awareness and fundraising. She uses her social media accounts to share her story and what others with more severe forms of MS go through. She also blogs about dealing with MS.
Collett said she’d like people to understand that MS can be very different for each person, with varied symptoms, pain levels, and even different levels of exhaustion. She noted that the exhaustion, in particular, can be hard for others to understand. Collett also urges people to listen to their bodies and seek medical attention if they believe they may be exhibiting symptoms of MS. 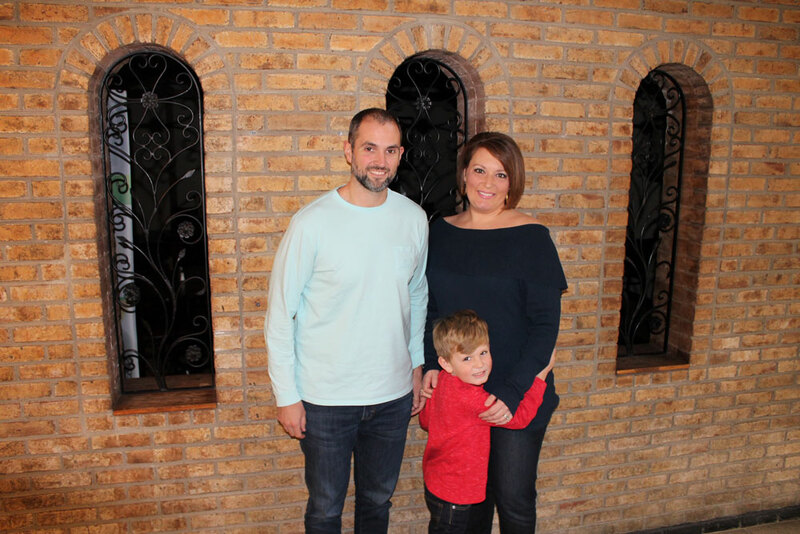 While the myriad of symptoms and issues that can arise from MS may seem quite daunting, Collett not only manages to stay positive, she also seeks to offer hope to others dealing with the debilitating condition. 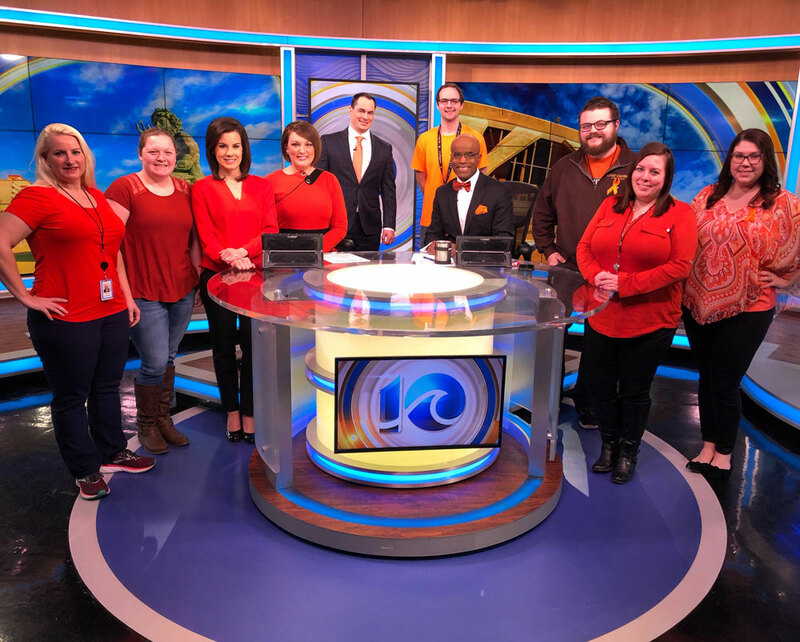 This month, during Multiple Sclerosis Awareness Month, Collett and many others at her station wore orange to raise awareness and worked to sign people up for their Walk MS Team, the WAVY Warriors. They have also been involved in serious fundraising efforts.